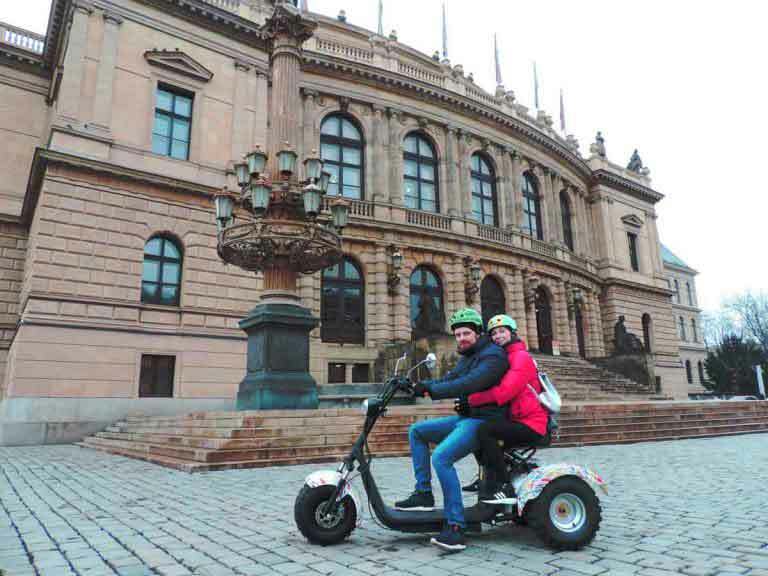 Since January 2018 we can offer a brand new kind of transportation in Prague – Trike Harley. This two-seat electric vehicle belongs to bicycle transport category. You can pass through pedestrian zone and go on streets everywhere where bicycles are allowed. You are NOT allowed to go on sidewalks, on the highway and via tunnels. Tours routes are flexible: it would be tailored to your interests.